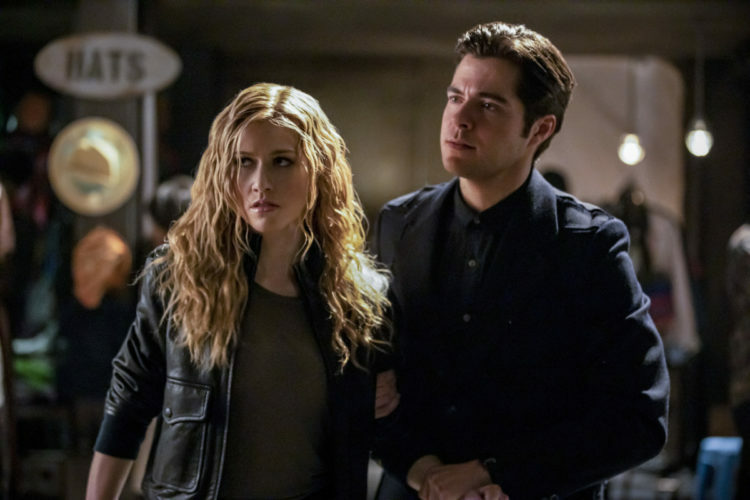 Arrow Season 7 Episode 15 Review: "Training Day"
However, before we get to next week’s episode (and I have some thoughts on that promo, which I’ll talk about below), let’s first discuss this week’s installment. Perhaps the best part of “Training Day” is how its external conflict of Team Arrow adjusting to working with the SCPD forces the show’s characters to confront their internal conflicts. Oliver and Felicity are committed to creating a safer, better Star City for their soon-to-be-born child, but their nine-month time window has them acting a little more desperately than they usually would. 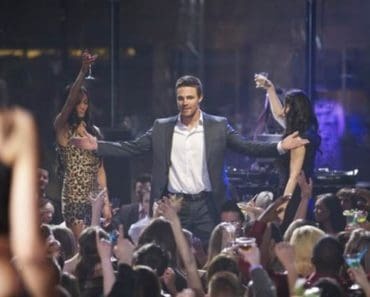 “Regardless of whether we have a boy or a girl, I just want to make sure that he or she grows up in a better, safe Star City than I grew up in,” Oliver tells Felicity during one of the episode’s final scenes. This single line shows how much Oliver’s mission has evolved over the years. He’s gone from crossing names off his father’s list to trying to inspire other heroes in Star City so that his legacy can live on past him to protecting his home so that his literal, actual, flesh-and-blood legacy, his and Felicity’s child, can have a better, more secure life than he did, a life without the pain and loss that he’s endured, the suffering that eventually led him to discover the light that brightened up his darkness: Felicity. But Oliver doesn’t want his child to have to search for that light. Instead, he wants him or her to be born into it and shaped by it; he wants his and Felicity’s child to experience love and compassion and comfort on a daily basis, an experience he was unable to provide to William, one that he still wants to and hopes he can provide to his son at some point. But Will Oliver and Felicity get the chance to provide that type love and lightness to Mia? Judging by the flash-forwards, I’m going to say that, unfortunately, the two of them don’t get the opportunity to do that for their daughter for too long. However, no matter what the outcome is, that doesn’t change the hope that Oliver embodies throughout “Training Day,” a hope that’s only possible because of his relationship with Felicity. This hope that Oliver has does cause him and Felicity to make some erratic decisions throughout the hour, though, which is something that Diggle recognizes when his two best friends start to work on their own, without the other members of Team Arrow and without the assistance of the SCPD. 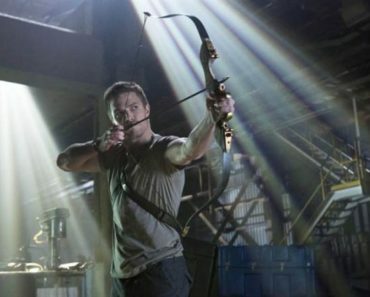 Dig sees that Oliver and Felicity’s actions, no matter how well-intentioned they may be, could have the same results that his actions earlier this season and other characters’ decisions last season resulted in: the division of the team, distrust among its members, and Oliver and possibly others put behind bars. Thankfully, when Diggle brings his concerns up to Oliver and Felicity, there is no out-of-character lying or arguing, the type of behavior that plagued so much of Season 6. Instead, Oliver and Felicity share the news of Felicity’s pregnancy with Diggle, and he cannot be more ecstatic for them. “That’s amazing!” Diggle says. “This is wonderful! 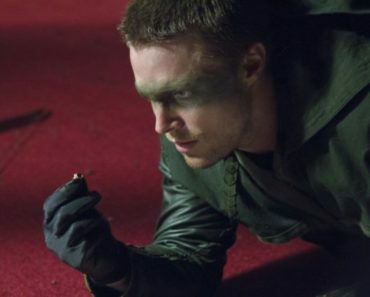 And also would explain a lot.” What it explains is the even more frantic nature at which Oliver and Felicity are attempting to take down criminals like Midas, but Diggle is able to give the two of them some perspective, just like he has done so many times before during so many other OTA meetings in the bunker (Also, let’s acknowledge how perfect it is that Dig finds out the news about baby Mia in the Arrowcave bunker. There’s no place better where he could have learned the news). He reminds Oliver and Felicity how the way they did things in the past never ended well and that they can’t keep repeating the same mistakes if they actually want a better, different life for their children. 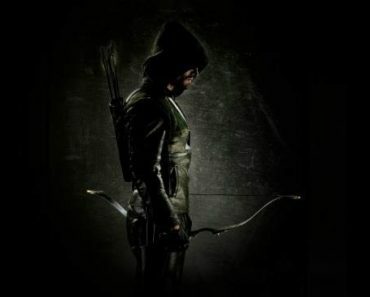 Dig encourages Oliver and Felicity to talk with Dinah and work with the SCPD so that they can find some type of middle ground, and that’s exactly what they do so that, by episode’s end, Dinah announces to all of them that Team Arrow is officially a special vigilante task force. Announcing that news takes a lot of pressure off of Dinah, who spends most of “Training Day” receiving pushback not just from the mayor but also her teammates. However, she also struggles with an inner crisis of sorts when she realizes she can no longer use her Canary Cry while out in the field due to nerve damage from Stan’s attack. Fortunately, Rene is there to reassure Dinah that she will always be the Black Canary, always be a hero, with or without her meta-human powers. He brings up the lessons that Dinah has taught Zoe and even the pin she gave to her as an example of this. Zoe looks up to Dinah not for her Canary Cry but for her ability to bridge the worlds of vigilantes and police officers and her dedication to helping the citizens of Star City, whether she’s in her Canary blacks or her SCPD blues. And of course, while all this is happening in the present-day timeline, William and Mia get to know each other better as siblings as they get closer to finding their mom. In one of the episode’s most touching and revealing scenes, the Queen siblings listen to Felicity’s voice message, in which she apologizes for having to keep them apart their whole lives, explaining that it was necessary for their safety. It’s clear that hearing their mother’s voice provides mixed feelings for both William and Mia; it’s comforting to know that Felicity is still out there, doing her best to keep them safe, but her words also intensify the pain and longing that her two children are experiencing. All the two of them want is to have their mother back in their lives and to get some answers to the countless questions they have, which is why it’s pitch-perfect that both Mia and William immediately choose to ignore Felicity’s plan to give the coordinates to Roy, Dinah, and the rest of the team. Instead, Felicity Smoak’s daughter and son are going to over the wall together to find their mother in the Glades, hoping that, just like Felicity was for their father so many years ago, she’ll be a light in the darkness, a hero who can save them and Star City from whatever evil is coming. I am not always the most attentive Arrow viewer, since it took me rewinding my DVR and seeing other fans’ tweets to realize that Bronze Tiger’s son’s name is Connor and that his nickname is “Hawk.” I am really curious to see if next week’s flash-forward-heavy episode shines some light on how/if he and Mia started working together in the future. Also, speaking of Bronze Tiger, he shares some very interesting news with Black Siren: Emiko is the one who killed Ricardo Diaz. And this helpful tip leads to a great confrontation between Oliver’s half-sister and Star City’s D.A., during which Emiko reveals that she knows Black Siren’s true identity. How exactly does she know this? We’ll have to wait and see, but I am 100% down for more confrontations between the two of them. Oliver and Felicity discussing baby names was a wonderful scene in its own right, but I love that Oliver is the one who suggests the name “Mia” in honor of his mother. Plus, Felicity’s response, calling it “sweet and fiery,” is a perfect description of the Mia we’ve seen in the flash-forwards. And speaking of their dad, judging by next week’s promo, it looks like we are getting Mia’s birth, which Oliver appears to be in attendance for. So what happens after her birth that causes Oliver to disappear? If it’s not his death, did he go into hiding? I am very curious about what answers we will and won’t get next week, but no matter what Oliver’s fate is, the fact that he’s able to be there for Mia’s birth is absolutely wonderful. It’s only a second-long clip in that promo, but the joy captured on Stephen Amell’s face says how much this moment means to Oliver. It’s the happiness he never thought he would possess, the happiness that, until he met Felicity, he didn’t truly believe he deserved. It’s a small scene, but one of my favorite moments of this episode is Diggle giving Felicity the ginger chews that Lyla used during her pregnancy. More frequent friendship moments between Diggle and Felicity, please, Arrow writers. I’ve missed these kinds of scenes. 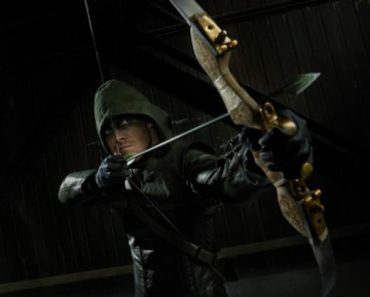 What did everyone think about this week’s episode of Arrow? Comment below and let me know.